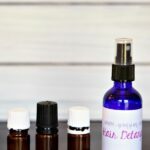 Are you searching for the best all natural remedy for cellulite? 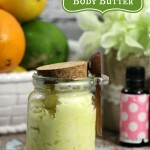 This DIY cellulite cream uses simple ingredients for great results. Cellulite is something that many women deal with, and many women would simply prefer to hide from. We try to cover it up, and ultimately, we’d like to evict it for good. The best strategy for eliminating cellulite is to work on improving your overall health and maintaining a healthy weight with exercise. Natural remedies are nice to help along the way, too. 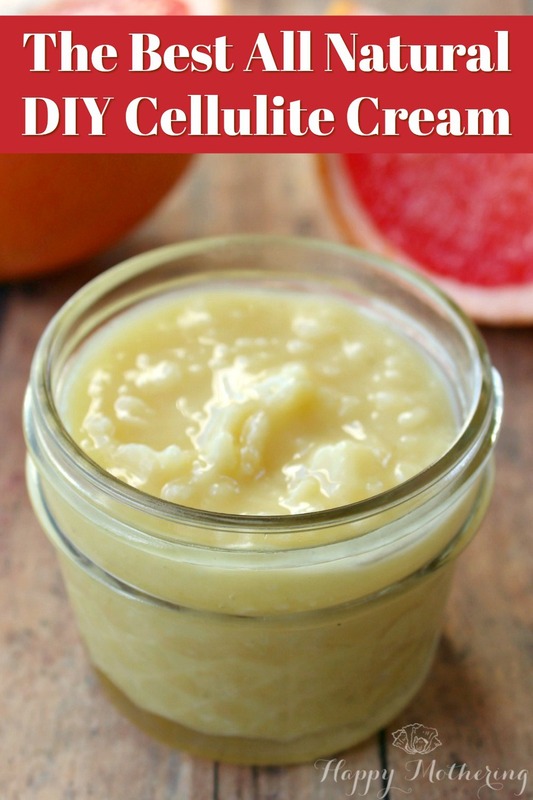 This DIY cellulite cream uses grapefruit essential oil because grapefruit has wonderful anti-inflammatory properties and contains the enzyme bromelain, which helps the body to break down cellulite. In addition, the grapefruit and lemon essential oils can help increase circulation, eliminate toxins and reduce fluid retention. Witch hazel is used thanks to its ability to help refine and tighten skin, which can help to reduce how much you can actually see the cellulite. The beeswax and coconut oil act as a simple cream base that quickly absorbs into the skin while allowing for optimal benefits of the essential oils. You’ll want to use this cream daily in conjunction with a healthy lifestyle to see best results. Add the witch hazel and essential oils to a small mixing bowl and stir until well combined. Add the coconut oil and beeswax to a double boiler over medium heat, stirring frequently until completely melted and well combined. Pour the coconut oil and beeswax mixture into a small glass jar. Add the witch hazel and essential oils mixture to the glass jar, then stir to combine. Seal the jar and store in a cool, dry place. Do you have any other natural remedies for cellulite? Have you tried working with candelilla wax? It’s a vegan alternative. I haven’t used it, but my understanding is that you’d use less candelilla wax than beeswax because it’s firmer.